This is a large screened room built in Gaithersburg, Maryland for outdoor living and entertaining. 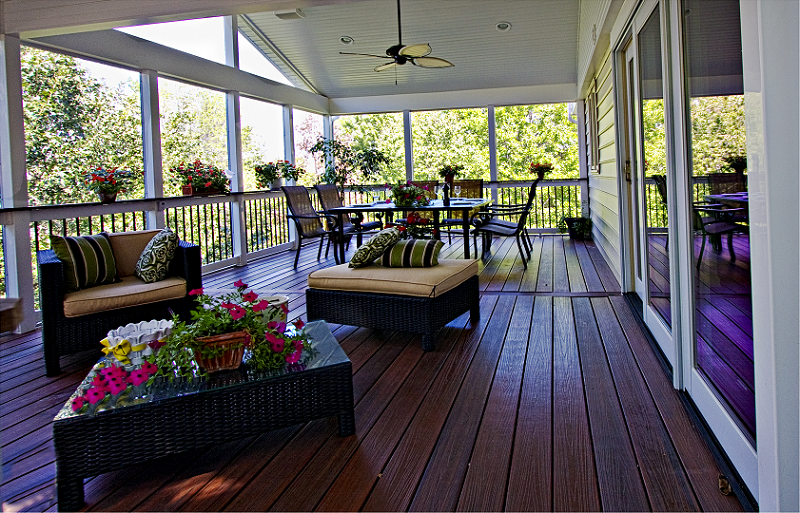 It uses hidden fasteners to secure its Fiberon decking, seen here in Rosewood trim. A white WOLF vinyl handrail system is installed with black Deckorators balusters and Fiberon decking top caps. The screened porch's ceiling features painted white bead board, recessed lights, and a ceiling fan.